Looking for the Github repository of EDP? 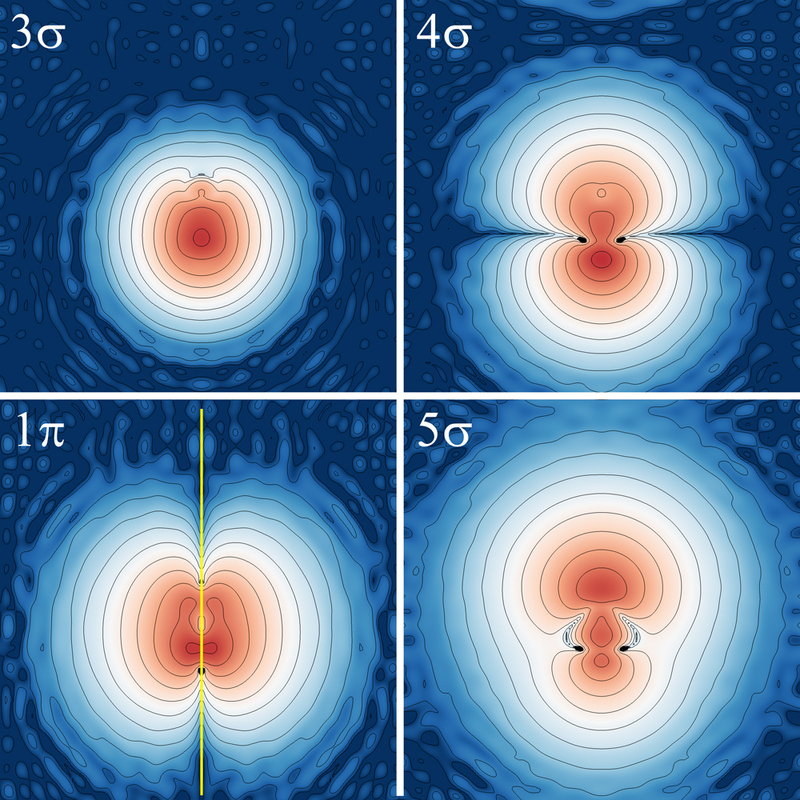 Figure 1: The electron density plots of the molecular orbitals of CO. The yellow line in the lower-left image is added to indicate the nodal plane. The molecular orbitals of CO are formed from the atomic orbitals of C and O. The molecular orbitals of CO can be identified from the molecular orbital diagram of CO as shown below. Each of these orbitals have specific symmetry characteristics and these symmetry characteristics give rise to the name of the molecular orbitals. The molecular orbital lowest in energy, which is a non-bonding molecular orbital that only contains core electrons, is termed the 1σ orbital. The σ denotes the symmetry characteristics of the orbital. σ-symmetry means that the orbital can be rotated arbitrarily around the bonding axis of C and O. Hence, there are an infinite number of mirror planes parallel to this rotation axis. The four molecular orbitals lowest in energy all have this particular symmetry. The fifth molecular orbital however, has π- symmetry and is hence denoted as the 1π molecular orbital. π-symmetric orbitals have a nodal plane on the bonding axis and hence only have a C2 rotation operation. Consequently, they also have only two mirror planes parallel to this bonding axis. The electron density plots shown above are in agreement with these symmetry characteristics. 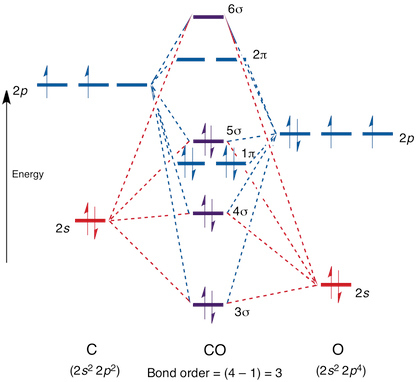 Figure 2: The occupied orbitals of CO, that are constructed from the valence atomic orbitals of C and O, are in order of low to high energy: 3σ, 4σ, 1π and 5σ. In order to construct the electron density, we first have to perform a series of VASP calculations. If you know how to do this, skip to the next section, else continue reading. The KPOINTS file specifies the gamma-point (1x1x1 k-points) and the POTCAR file corresponds to one with the potentials of C and O (in that order). I am not going to discuss all the directives in detail (the VASP manual is really good at that), but I will explain a couple of directives. The INCAR file tells the program to optimise the geometry (IBRION = 2). The WAVECAR and CHGCAR files will be generated and a DOSCAR file will be made with a resolution of 4500 data points on the interval [-30 eV;15 eV]. The mesh of the CHGCAR is 150x150x150 grid points. This file can be readily visualised using your favourite program (Excel, Origin, GnuPlot, your pick...). 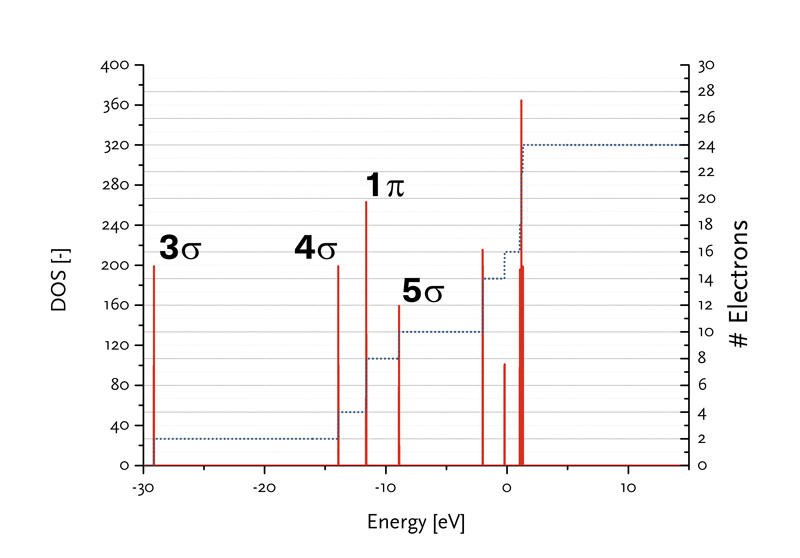 I chose Origin and made the following graph: Figure 3: The density of states (DOS) and integrated DOS of CO. Each of the peaks corresponds to a molecular orbital. For each of the energy intervals, we are going to run VASP again with the following example INCAR file. This INCAR file is for the energy interval [-30; -27.5], but you can chose any interval you like. The LPARD directive instructs the program to generate a PARCHG file of the partial charge corresponding to the wavefunctions between -30 and -27.5 eV. The resulting PARCHG files are stored separately and will be used for the visualisation in the next section. To visualise the electron density, we are going to use the EDP program, which is freely available via its Github repository. You can compile the program yourself or obtain it from the repository (if you are running Debian). The tags -v and -w specify the vectors and -p specifies the point. The -s tag is used to set the resolution of the final image. The value of 100 means that the final image has 100px per angstrom. Finally, the -i and -o tags designate the input (a CHGCAR of PARCHG file) and output files (an .png image file). Maybe you are wondering how the values are generated that do not lie exactly at the grid points specified in the CHGCAR file. To plot such values, a trilinear interpolation scheme is used. A detailed description of that algorithm is given here. Finally, you can collect all images and create a nice compilation in your favourite photo-editing program (such as what I did in Figure 1). Bart Zijlstra has made a very nice analysis of the results of the electron density visualisation routine as a function of the number of k-points and the smearing value. The result can be seen below. 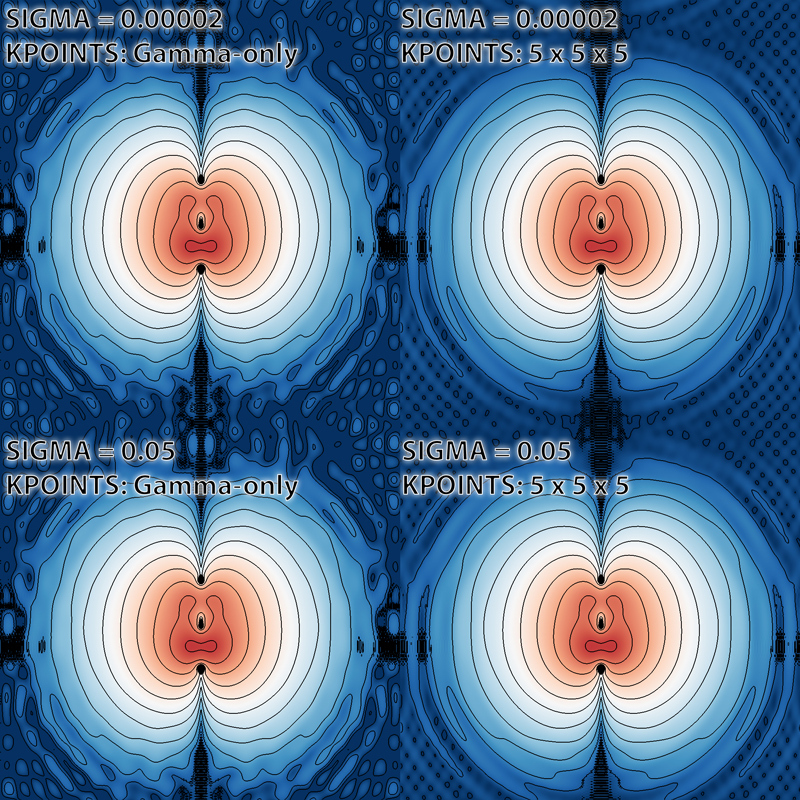 Increasing the number of K-points shows a more detailed result, yet there is no significant change in the characteristic features. What is the answer to Eight + Seven? Please for something similar for SO2 and SO3. What is the answer to Six + Ten? How are the saturation levels chosen? I mean, I'd like to plot a colour bar next to it in some units (say eV/bohr^3). How would I go about doing this? What is the answer to Four + Four? This feels a bit like necroposting. Nevertheless, I have implemented a legend into EDP. You can enable the legend using the "-l" directive and it will show which colors represent which values. It also mentions the units (which are in eV/A^3). What is the answer to Nine + Five?